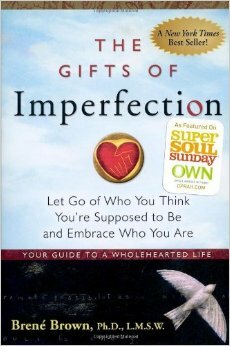 After reading these Brené Brown books on vulnerability, I still am not quite sure whether or not praise is a good thing. Because, alright, one of the takeaways from these books is that the act of artistic creation entails a lot of vulnerability. This is a part of yourself that you’re offering up to the eyes of the world. And if the response isn’t good, then, well, it’s pretty devastating. And that devastation is also completely disproportionate to the crime. Writing a bad novel isn’t terrible. In fact, it’s good. Writing a bad novel is a huge achievement, and it’s a natural step on the road to writing a good novel. I don’t want to make people feel bad about writing bad novels. And it’s all fine and well for you to be like, oh they shouldn’t be ashamed. You’re not criticizing them. You’re just criticizing the work. But I can’t affect how they’ll hear the criticism. Only people who are really at peace with themselves are able to hear criticism in a wholly constructive way, and writers aren’t noted for being particularly at peace with themselves. And I know lots of writers who’ve been shut down by negative criticism. They withdraw completely and either stop writing or stop submitting. And I believe that the most important way in which writers improve is by continuing to write! That, more than any criticism, is how they’ll produce better work. Which seems to make it easy. I ought to encourage all writers and honor their future potential to create good work. But where it becomes more complicated is that praise is also, I think, very harmful to writers. I’ve seen so highly-praised apprentice writers whose development stalled out. And I think this is for two reasons. One, when you get praise, you assume success is imminent. And when it’s not, you get frustrated and give up. And, secondly, when you get praise, you assume that writing is not hard and you’re naturally good at it, and that’s not interesting. People want to be challenged. Not so challenged that they feel frustrated. But they want to feel that sense of accomplishment that comes with trying your hardest and then achieving something. So both praise and criticism aren’t that great for writers. Honestly, I feel like our current system is pretty good. New writers mostly get ignored–oftentimes for the better part of a decade–until they start to show a little progress. That decade of being ignored is terrible, but it’s also freeing. No one is telling you to stop. No one is telling you that you can’t do it. It just teaches you the two things you need to know as a writer: a) the motivation for doing this needs to come from within yourself; and b) no one’s going to pay attention until you write something that makes them sit up and take notice. That having been said, I still do like to praise people. I figure that the folks who’re discouraged by praise will eventually find their field somewhere, somehow, while the folks who’re encouraged by it are the hothouse flowers who need a very special environment within which to blossom. Scott did not stop talking and since I was embarrassed by what he said—it was all about my writing and how great it was—I kept on looking at him closely and noticed instead of listening. We still went under the system, then, that praise to the face was open disgrace.